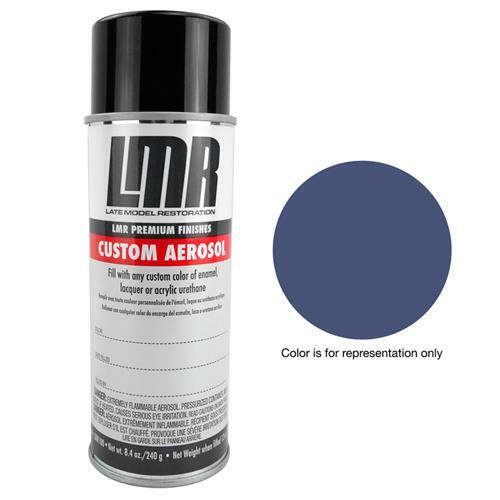 Freshen up your 1993 Mustang's interior with Royal Blue interior paint from LMR.com! Our Mustang interior paint is the perfect way to top off your restoration project! These PPG base pigment paints ensure an exact match to OE Ford original paint colors. Our 12oz paints work great on any interior panel. Use them to freshen up your OE interior panels, or paint to match new interior panels in your Mustang. Also an affordable idea for custom interior color schemes! Over time, your factory interior panels may have faded from sunlight and weather exposure. This can often cause a slight color mismatch, so be sure to pick up a couple of extra cans and bring your whole interior back to life! Our interior paint offered here at LMR will work on any interior surface of your Mustang! Whether it's door panels, center consoles, dash pads, or center console pads; this paint will work for your application - flexible or not! Due to Hazmat regulations, lubricants/fluids cannot be shipped to APO/FPO addresses.